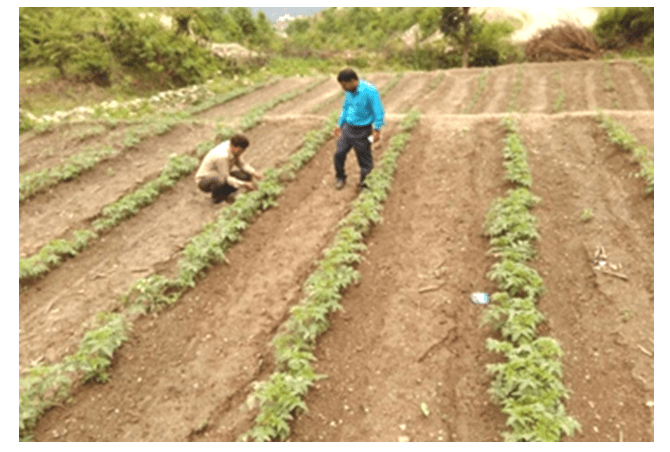 Field day is a method of demonstrating the performance and profitability of new practices / technology in farmers field or research farm so that farmers can adopt it. involves different type of interventions linked with Agriculture , Horticulture, Animal husbandry, Livelihood enhancement etc . In fact, there is integration of many Agriculture and allied activities .For all this, to have success , it is important to have incorporation of new ,advanced and farmers friendly technologies. Field day is an important way of technology demonstration so that the technology adoption by the farmers can be facilitated . Field day should not be taken casually . It is not a training or workshop. Especially, while dealing with Watershed management, It should not just be taken as a mandate to complete rather it should be realized that it is a practical demonstration of technology in farmers field . It is important that the demonstration is done with utmost care as later on the farmers will be adopting it in their field . Any leniency, can create a barrier in proper understanding . As a consequence, the farmers may not be successful in adopting the technology. So, it is important that the demonstrator of technology should realize the importance the Field day. It is important that the farmers are convinced of probable benefits of the new practices or technology .This way the farmers can be motivated towards adoption of these new technologies. Quite often ,the farmers has doubt or superstitions attached with new practices .During field day, the farmers has to make clear about the social aspects, If any attached to the adoption of new technology. Field day also give an opportunity to the farmers to recapitulate or to enhance the learning about the practices. How to proceed in Field day? First of all decide the techniques/ practices to be demonstrated . for example – “Field bunding for Soil and moisture conservation”. The Field bunding is already being practiced by farmers in demarcating their lands and for moisture conservation. So, it is important that all the significant aspect of Field bunding is being dealt during the Field day .The Farmers has to be made aware that field bunding is not simply constructing earthen bunds in field rather, it is important to take care of length, width and slope of the bunds .Emphasis has to be given on all other factors to be considered during field bunding so that the farmers can understand the sustainability of constructed field bunds. Then, decide the location and time of field day . If the field day has to be done on farmers field then it will be wise to have demonstration in progressive farmer’s field . This provides an efficient way of technology transmission . The Subject Matter Specialist(SMS)from nearby university, institute or (Krishi vigyan Kendra)KVK can be contacted to further enhance the effectiveness of field day. Display of labels, banners and relevant publications should be done . Facility of registration of farmers should be done . Media persons can be involved for better publicity of the field day so that it can reach far villages too . Field day-How to Implement ? First of all, the participants/ farmers should allowed to assemble . The demonstration should start with the purpose of field day and significance of technology to be demonstrated. While explaining the technology, give suitable example of its adoption in other areas . The farmers should understand the value of the technology especially in terms of its profitability. The queries of the farmers should also be dealt during the demonstration. Ensure that the famers have understood he technology . The adoption of technology by the farmers depends on how much they are convinced and motivated . Later on distribute the relevant publications to the farmers. It is important to emphasize again on the important points the technology as demonstrated during the field day. The Farmers should allow to share their views and to have their feed backs. Follow up is an important step that mostly is ignored or taken very casually. Follow up is an important step that infact helps to know the adoption percentage of technology as demonstrated in field day. This way the success of the field day can be analyzed.